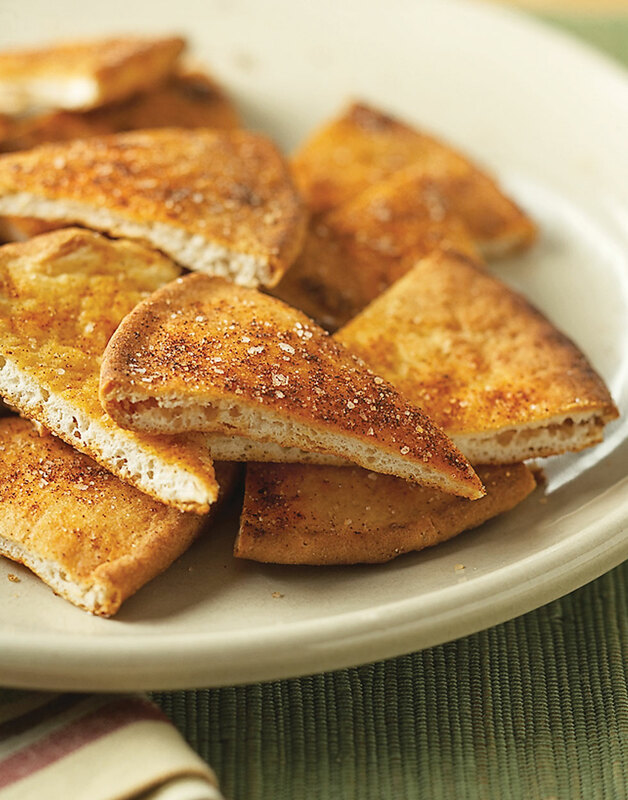 Whether they're dunked in hummus or paired with a creamy soup—pita chips are versatile with a variety of foods. Preparing pita chips at home allow for a better taste in just a short amount of time. Combine salt, paprika, and cayenne in a small bowl. Lightly brush pitas on both sides with oil and sprinkle with seasoning mixture. Transfer pitas to a baking sheet and broil until golden, 2 minutes per side. Cut each pita into 8 wedges.